As I finish up classes and move towards exams in my final year of TRSM’s Retail Management Program, I have been reflecting on my four years at Ryerson. Being an out of province student, I moved to Toronto without ever having visited the city before. I made the choice to move across the country because of the Retail Management Program – the only one of its kind in the country. I have often wondered if I made the right choice, moving away from my family, whom I am very close with. However, I don’t think that I would be the person I am today had I not moved. One of the most amazing experiences that I have been part of at Ryerson was the International Exchange Program. I had the opportunity to do my exchange semester at England’s University of Surrey, located in a small town called Guildford. Having the opportunity to live in a small town was very different for me, as I have always lived in larger cities, and studying in another country was very eye-opening as well. It was also interesting to see how universities in England differ from the ones here in Toronto. 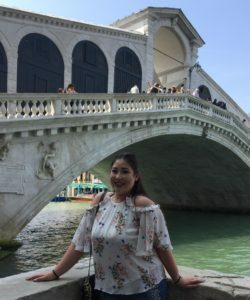 While I was studying abroad, I also travelled to over 20 European cities, taking full advantage of the close proximity of all the different countries. 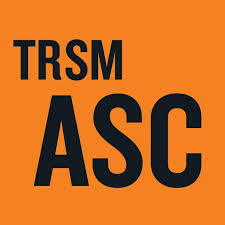 My exchange semester was the best semester of my university career, and I would recommend it to other TRSM students. 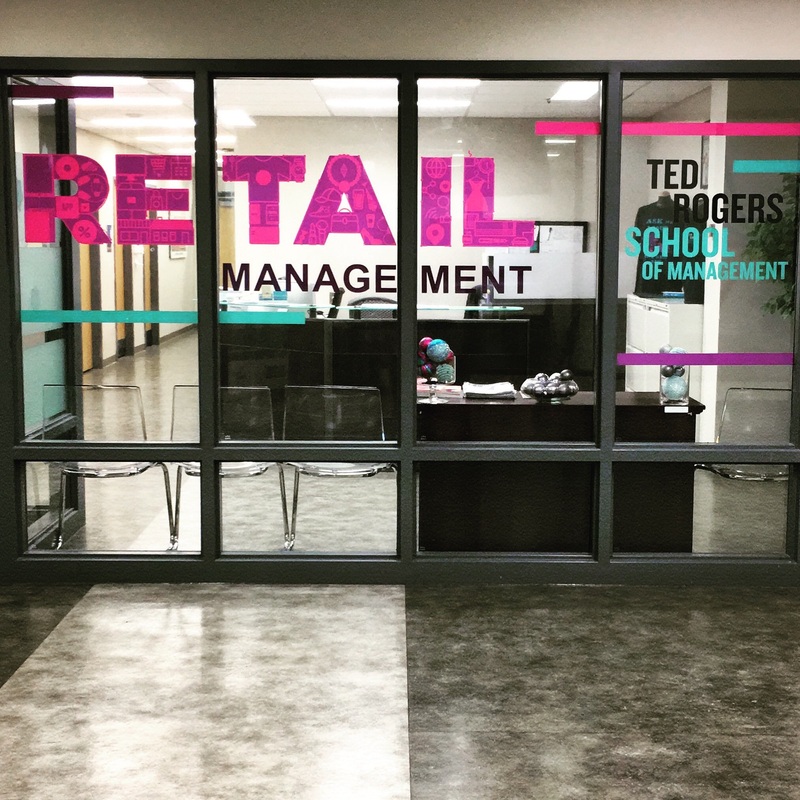 Being a part of the Retail Management Program, I have had the opportunity to partake in so many interesting courses that incorporate experiential learning. Many of my experiential projects have involved industry professionals who have taken time out of their workdays to participate with us as consultants and judges. These opportunities allow students to get experience working with individuals in the retail industry, better preparing us for our careers after graduation. Another unique aspect of the Retail Management Program is that some of the experiential projects are partnered with retail companies that develop certain group projects to be competitions as well. These competitions allow our course content to link to real cases and scenarios that would be dealt with in the industry, giving students first-hand experience working on these types of problems as a part of a course. 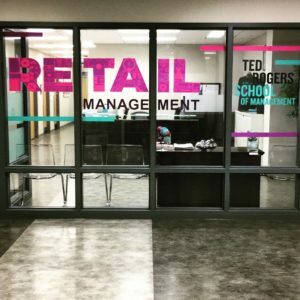 The Retail Management Program is so unique and is constantly updating to fit with the latest trends and innovations in the industry. We are never learning content that is an outdated practice; we learn skills that retailers are looking for in today’s retail landscape. Now that I am at the end of my four years looking back, I wish I had been more involved on campus. Being more introverted and quiet, I did not focus on anything other than going to school and doing my studies in my first two years. After I went on exchange, I got more involved in volunteering with the Retail Management Program to advocate and promote the program to students and discuss my experience with students looking to go or who were about to go on exchange. After that, I began working at the Academic Success Centre (ASC) as a Peer Academic Coach in my final semester before graduation. I learned so much during this last semester, not only about the resources the ASC offers, but those that Ryerson offers too. If I had gotten involved sooner, I would have found out about the many resources and student groups Ryerson has available to students, which would have been extremely helpful for me in my studies and transition to University. My recommendation to students reading this is to get involved on campus, get to know fellow students and learn from them, whether they are in your program or not. I would also highly recommend participating in the International Exchange Program and getting to know about the resources that are offered for free to students. These resources will help you with whatever your individual needs are to become the most successful student you can be.